The numbers have been crunched and the results have been tabulated: nearly 17,000 associates took Vault’s survey this year, and yes—Wachtell is still number one. In fact, there was only one change to the top ten this year: Sullivan & Cromwell reclaimed the No. 3 spot it earned in 2011 and 2012 (Skadden briefly stole it away in last year’s rankings). Even within the Top 25, no firm moved by more than three spots in either direction—except for litigation powerhouse Boies Schiller & Flexner. And while Wachtell continues to hold onto its vice-like grip on the No. 1 spot, it looks like Cravath might be starting to catch up. To create the Vault Law 100, we ask associates to score law firms on a scale of 1 to 10 based on how prestigious it is to work for the firm (associates are asked to ignore any firm with which they are unfamiliar and are not allowed to rank their own firm). We then average the score for each firm and rank the firms in order. This year, Wachtell’s score was an impressive 9.083, but Cravath was not far behind at 8.996—the smallest difference in score since 2009. New to this year’s rankings were Dentons (No. 93), Troutman Sanders (No. 97), Haynes and Boone (No. 98) and Duane Morris (No. 99). This is the first year that Haynes and Boone (last year’s No. 11 firm in Texas) and Duane Morris (last year’s No. 9 firm in the Mid-Atlantic) have cracked the Top 100. The 2014 rankings also mark Dentons’ big debut on the Top 100, although its predecessor firm Sonnenschein Nath & Rosenthal was ranked No. 64 by Vault in 2011. Troutman Sanders, meanwhile, obtained the No. 93 spot in 2012, but was briefly edged out in last year’s rankings. Three ties this year (between Fulbright & Jaworski—now Norton Rose Fulbright—and Winston & Strawn at No. 48, Jenner & Block and Wilson Sonsini Goodrich & Rosati at No. 54, and Dentons and Stroock & Stroock & Lavan at No. 93) meant that despite the addition of four firms to this year’s rankings, only two firms were pushed out after making the list last year—Kasowitz, Benson, Torres & Friedman (No. 98 last year) and Wiley Rein (No. 97 last year). 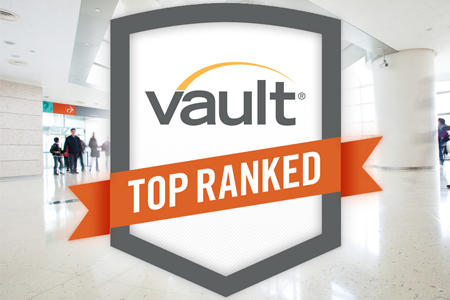 Vault will be releasing the rest of its 2014 Rankings—Best in Practice, Best in Region, Best to Work For and Diversity Rankings—over the coming weeks. Make sure to follow us on Twitter @VaultLaw for up-to-the-minute information on those releases. 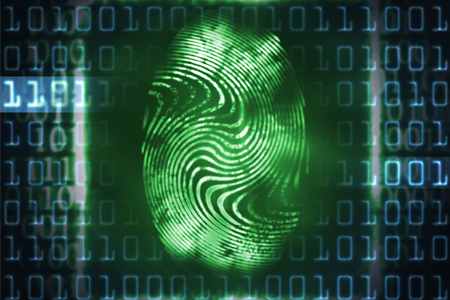 Can a MOOC Boost Your Career? This One Can!